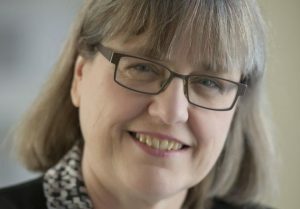 Donna Strickland has won the Nobel Prize for Physics, the third woman to receive the award in the history of the prize. A Canadian Physicist, Strickland’s work resulted in ‘chirped pulse amplification’, the production of ‘short and intense laser pulses’ that have revolutionised cutting techniques across a range of industries. The discovery has become invaluable in optometry and laser eye surgery, the study of DNA in science and cancer treatment. The nomination comes fifty-five years after Maria Goeppert-Mayer was awarded in 1963 for her work with atoms, and one-hundred-and-fifteen years after Marie Curie won her first Nobel Prize for her work on radiation in 1903. Goeppert-Mayer was a renowned theoretical Physicist and Mathematician who, ‘developed a mathematical model for the structure of nuclear shells’, whilst Curie, a Physicist and Chemist, remains the only woman to have won the Nobel Prize twice for her substantial contributions to cancer research and isolation of the element radium. As with Goeppert-Mayer and Curie, who also shared their awards, Donna Strickland is a recipient in conjunction with Physicists Arthur Ashkin and Gerard Mourou. The American Institute of Physics have congratulated Strickland on her win, stating ‘… the countless applications made possible by their work, like laser eye surgery, high-power pettawat lasers, and the ability to trap and study individual viruses and bacteria, only promise to increase going forward. It is also a personal delight to see Dr Strickland break the 55-year hiatus since a woman has been awarded the Nobel Prize in Physics, making this year’s award all the more historic’.